If you are working at a site where water isn't available, the PX3 dry cutting brick saw is the tool for you. It's 14" dry cutting diamond blade will cut through bricks and masonry with ease. It can be used as a fixed chop saw, or the blade can be locked in the down position allowing you to slide the material through the blade. Machine weighs 70 lbs. 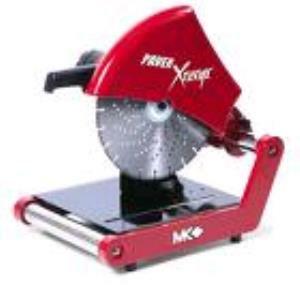 * Please call us for any questions on our brick saw 14 inch elec dry cut rentals in Hillsdale and Ridgewood NJ.